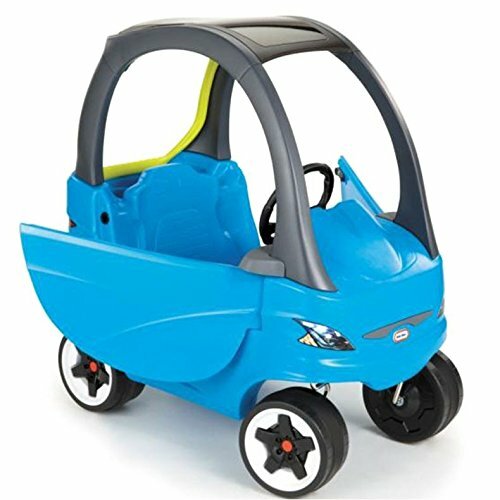 I bought my daughter a Cozy Coupe for her birthday. Right away, after the initial build, we noticed some problems which to me, made it unsafe. Watch below to see what went wrong, how it was fixed and finally if Little Tikes decided to recall the sport coupe. Thanks for watching! Well winter is here and it's awful. Super cold, no fun and tough to get out in the garage. The Impala Project is still in the works with me slowly working as I get free time. I just flew to Florida to pick up the Trailblazer SS replacement; a 2013 Subaru Impreza WRX STI. The Trailblazer will be posted for sale once it is a little warmer out. I also plan to sell my '98 Camaro SS, which the Impala will be replacing. More on that in the near future, as it is in hibernation until the snow stops. Hope you enjoy the video below, my full review on the 2016 CTS-V is posted to Youtube. I'll have the full writeup, pictures and everything else on the site soon. Coming up are product reviews from Muck Daddy, Detroit Treads, Innovative Wiring and much more. The Cleveland Auto Show is very soon too, which should be fun to cover. Be sure to follow Hoagies Garage on YouTube and all the other social media sites out there. I update regularly and constantly have random things being posted. Let me know if you have anything interesting you'd like to feature on the site. I'd love to get some new opinions going on our site. Thanks for following along! The time has come for gifts and presents. Many times car lovers are given way too much Armor All and just useless stuff that people think you'll use. Well the past two years, we've created a list of solid ideas that could be for you. Take a look at the past lists and also see if anything picked out this year is up your alley. We reviewed this almost a year ago, having great results. People on YouTube said I rambled too long, which is true. This is one of those clever and unique car products the recipient will be excited to rush home and try Christmas Day night. A good smelling interior is always a good thing. This is more of a specific gift that you'll have to somewhat know the car of your gift recipient. If you notice somebody having the gross and hazy headlights, this is a great little kit we tried out a little while back. Safety and good looks, all in one great gift for a nice price too. When working in the garage, your hands get greasy and dirty. This is just a fact of life and many people go with a bigger name cleaner or something off the shelf. Jack Manufacturing is a great company that is one we actually like to support. There are many others out there, which we plan to test soon, but right now Jack is the first one I reach for at Hoagies Garage. Once again, if you know the make/model of the vehicle, these are a great gift to give. It always seems like you end up needing one of these to replace the broken or worn out one you've had in your pocket for years. Don't just buy one of these without researching, but sometimes when you replace one of these, it makes your car feel like the first day you drove it all over again. A worn out, barely working key fob is never fun. The guys from Top Gear are spinning off to Amazon soon and new episodes will be here at some point. In the meantime, a great gift is one of the original seasons to view at home, anytime. Most of us would do the viewing via Netflix, Youtube, or even illegal downloads from the UK. This will make it easy to relive some great episodes without working too hard. We have been long term testing one of these out west and the results will surprise you. A clever tool that tracks your vehicle, diagnoses trouble codes and even tell you when it's time for a battery change. This item does require a yearly subscription, but overall there are tons of great uses for this clever OBD port tool. I'm reviewing one of these right now for car and travel gear. The man purse is a clever tool for any guy, but in all honesty I'm all about using one of these to carry your interior gear on a road trip. When you stop for the night, carrying in everything becomes an issue. You have your phone, radar detector, GPS, cords, chargers and anything else. The Nutsac is a great looking bag that can help you stay organized. Check them out and stay tuned for our review coming soon. No matter what make or model you own, one of these can always come in handy. Finding one of these is easy enough if you know what kind of car the driver owns. They go through procedures on how to fix almost anything and also have photographs to help along the process. Haynes even has some clever ones like the Millennium Falcon and the Space Shuttle. Charging devices in the car - we all do it and we all lose these little adapters. Having a spare, or even just having one good one is smart. Some of these are cheap, bright pink and cost too much from the gas station. Having a good quality USB charger for your 12v outlet in the car makes everyone happy. Scosche makes this one, with a high voltage charging rate and their stuff is usually really nice quality. 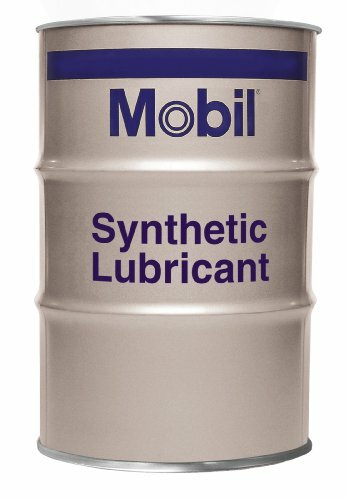 Mobil 1 By The Barrel! Jack Manufacturing is an awesome company. They have supplied us with a number a neat products for the garage, most importantly their hand cleaner. We are going to do a full story with that, tied into the Impala Project very soon here... In the meantime though, I wanted to show you their Everything Wipes. These are heavy duty wipes, similar to a bleach wipe in packaging, but they literally clean anything. One side of the wipe is soft and the other has a texture to it in the form of some string/twine built in. I have used these randomly all over the garage and in the house. The video below though shows just how well they work at cleaning road grime, grease and dirt from some used shocks off our Trailblazer SS. Such a great little tool you should add to your garage. Watch the video, then hit up Jack so you can purchase some of their great stuff. We had a friend of the garage stop by with an interesting tip. If you own a newer Honda or Acura, this could be useful for you. We learn in the video below, how to disable your traction control AND stability control. This is not a quick, easy thing to do like pushing a button, but if you follow our guide you will be aide free in no time. Hope you enjoy! The Cleveland Auto Show is in full swing, right in our backyard. Yesterday was the media preview day so we were able to get some pictures and video. Chevrolet came in hot with one of the first vehicle debuts in Cleveland for over five years. They brought out the Trail Boss Edition Colorado. Bear in mind, this is not a ZR2, Raptor Fighter, Baja Blaster or anything else like that. Chevy kept it pretty simple with only minor aesthetic changes, saving the big boy toys for the ZR2. Production hasn't been announced for the big guy ZR2 yet, but it sounds like it won't be far off. In the meantime, the Trail Boss will wet your appetite and make your Colorado look just a tick beefier than your buddies when you park next to each other. Some of the GearOn features roll over along with new wheels/tires, black flares, 3" rocker steps and other little touches. Hope you enjoy! I happened to be driving along one day and spotted a used 2006 Maserati Quattroporte. Never really was a fan of this car in the looks department, but the chance to go test drive a Maserati was intriguing. For $22k, you could own a Maserati... Just let that sink in. The question is though, do you really want to? Watch below to see how the drive went and what this small amount of money will get you. Enjoy! Onstar has been around for almost twenty years now, debuting on a few Cadillac vehicles back in 1996. Since then, it has changed from a luxury item on expensive GM vehicles to being offered on almost everything they sell. I have my opinions about the service and they are very simple. What is being offered can be very useful and it is very clever, but paying each month is somewhat costly. Personally, I don't subscribe but I won't disagree with somebody who feels they need it and there are people out there that would benefit. With that being said, this video runs through some of the features you get with Onstar. The nice Onstar lady even gave me a live demo on what they could do for us. Hope you enjoy! Husky Liners are top notch. They make a wide variety of vehicle interior protection products that fit almost any car. Husky also offers some unique exterior protection options as well. When you are looking to floor liners though, they offer one of the neatest new features and are going right at Weather Tech. Their X-act contour edge is a raised lip on the side of their liner that contains spills, water from shoes and anything else that drops to the liners. Here is a little video showing what I mean. Enjoy! This 4-minute Comparison video features two fictitious engineering "nerds" named Patrick and Shannon who take the viewer through a series of four tests. The video focuses on four unique selling propositions of the Husky Liners X-act Contour Floor Liner; The premium look and feel of the product, the FormFit Edge™, the StayPut Cleats™, and Husky Liners' Lifetime Guarantee. I'm not really sure where these went to, who got them, or how many exist nowadays. This is a super short, but super 90s promo video that talks about SLP and how they used to build the Camaro SS & Camaro RS in 2002. SLP was GMs "helper" to build the SS, RS, Firehawk, and even some random Grand Prix models. They also sell aftermarket parts, which is apparently different compared to the car modifier that GM relied on from 1995-2002 as a factory option. This VHS was an eBay find, lasts just long enough to get you interested, then ends in amazing VHS quality. Hope you enjoy! I know, I know. Cars are a horrible investment. You will never make money and they cost money just sitting in the garage. When you decide to drive them, you are just a fool if you're doing this to make money on a resale someday.. This is the normal statement from anybody concerning vehicle investment. Most times you won't make money and most times you're going to want to drive your car. With all that being said, there are a few decent cars out there that I feel are worth looking into. Obviously, if you buy a 1970 Boss 302 you aren't going to lose money on it really. But then again, you probably won't gain any money either because these have almost peaked and have also seriously gone up in value compared to where they were 20 years go. I won't claim that these are all a sure thing, but if I had the garage space to let a vehicle sit without driving it for 10-20 years, I would easily pick one of these. The C4 Corvette is a crazy good bargain right now. Refinement isn't really there, but you can get a Corvette for the price range of a Chevrolet Spark. The King of the Hill though, the original ZR-1... These are something of legend. The later ones(93-95) were arguably the best looking and they had the most horsepower. Any of these with low mileage from 1990-1995 are going to be collectibles though and I have a few reasons. The main one is, you never see them. People really don't drive these much and it wasn't something that everyone bought back in the 90s. The ZR-1 cost nearly double compared to a regular C4, which tells you that this car is something special. Only a little over 6,000 were made in Kentucky and it kind of showed you what Chevrolet could do if they focused in that 90s period. You aren't going to be the fastest guy out there, but for something to stare at in the corner of your garage... I can only see these cars going up. Kept in stock form, maintained well, and knowing the history is going to be key for this. They aren't cheap to begin with, but I think they'll be worth a good amount in 15-20 years. Now for a minute, forget about the GNX. They are far too valuable for the average person If you don't know what I'm talking about, go watch Black Air right now. The Grand National is another vehicle that if you owned one, at least me, I'd feel bad daily driving it. They just seem like cars that need to be parked and then just watch the value go up. In the past ten years, these have shown evidence of growth. Many times, they are beat to snot and modified beyond reason. Bone stock, original, and decently low mileage versions of the Grand National will only go up in value as the years move on. This is one of those cars that only certain people "get" - If you told most people you spent 20k on this old, black two door - they'd probably look at you like you're nuts. This Buick has a unique following and there is always somebody who will buy it from you down the road. This one is a major gamble, but not a very expensive one. First job is to actually find one with low miles and also no major modifications(Good Luck). The next step is to let it sit, and wait. I don't foresee this making you huge mega bucks like a Shelby Cobra did back in the 80s, but these will go up. The main reason, you just don't see them in nice shape. A similar investment would be a DSM Talon/Eclipse. Not a vehicle that everyone is clamoring for, but at the same time having a clean one is few and far between. The '95-'99 240 was an upgrade over the first gen, had GTR looks, and drove pretty good. These weren't fast by any means and that is why they've all been modded so much. The last couple years had low production numbers, so once again good luck finding one. The LS1 F-Body vehicles are seriously one of the best deals out there. 300+ horsepower, looks that are still relevant, cheap parts and of course a cheap asking price. For these reasons, everyone buys them and then does what we love - modify. Finding one of these in stock form isn't hard, but give it time. Eventually, this will be like the fox body 5.0 Mustang - finding one without flowmasters and the distributor rubber removed is an act of god. The same goes for these F-Bodies. Everyone changes out the air lid, exhaust and whatever else they can afford. With that being said, the last model year kept unmolested and clean is going to be worth something down the road. I would especially put stock into a highly optioned SS from SLP or even a WS6 Trans Am. These were the cream of the crop and not something you'd see everyday. I am hesitant to put this one. The main reason is I am 50/50 with thinking it will increase in value. To me, they still look cool, but only in all black. If you find one of those Typhoons with the teal and gray color scheme... I just don't know. For me though, 20 years from now finding a clean, low mileage all black Typhoon or Syclone will be very cool. They didn't haul or tow much, but they were AWD and quick. Most times these have had the wheels driven off or setup for the strip. Like everything else I have mentioned, finding one to invest in is your biggest hurdle. The interiors look dated and this was that time period when GM quality wasn't that high, so stuff wore out quickly. Your best bet is to find one without much wear and tear, then you wait. All five of these vehicles I don't see going down in price, unless you pay too much to begin with. I wouldn't expect crazy Barret-Jackson bidding wars on any of these either, but you never know. If you find any of these on eBay or Craigslist, post a link in the story or on one of our social media sites. Speculating car value is interesting and everyone has their own opinion. What are some vehicles you feel would be good to invest in? I'm sure there are more out there.... Let us know! C5 Corvette Interior Temperature Sensor - Seriously? Older vehicle parts constantly amaze me. Sometimes the weirdest parts are dirt cheap and sometimes the most common things are outrageously expensive. We found that out a few months back when selling old Z28 Camaro parts. This is a new one that I am thinking leads to a scammer in the industry. The C5 Corvette is one of the best deals going right now for performance. They are just cheap enough where you can buy one and not feel bad about driving it and loading up the miles. Chevrolet loaded the C5 with technical goodies that are now super common, but in 1997 were ahead of their time. Repair parts aren't Ferrari expensive, but they also aren't junk yard grab bag cheap either. One of these high tech 1997 features was automatic climate control. The Corvette reads the temperature from a small opening in the dash, right by the key slot. There is a small grille that has a sensor inside, basically so the car can adjust your HVAC controls automatically for you, keeping you comfortable. The cover on our 2004 Z06. Long story short, the grille is a stupid piece of plastic that pops off if you need access to a screw for radio changes, if your sensor goes bad, or whatever else. I spotted this one on eBay, the guy is asking $1,000+ for this small piece of plastic. He is price gouging, flat out. So a quick call to a local Chevy dealership informed me of a sad truth - this part is discontinued by GM. That is a major bummer, because this is a part that breaks constantly, but asking $1k is a joke. This guy needs to be called out and questioned as to what he is thinking. I get that the part is getting rare, but I found them for sale elsewhere online in the $20 range. Our favorite soda from the 90s has made comeback and it will be fueling the garage for the next few months. This is a test done by Coca-Cola to see if the product is actually something people want. Well judging by the fact that it sold out within minutes on Amazon, I'd say it will stick around for awhile. 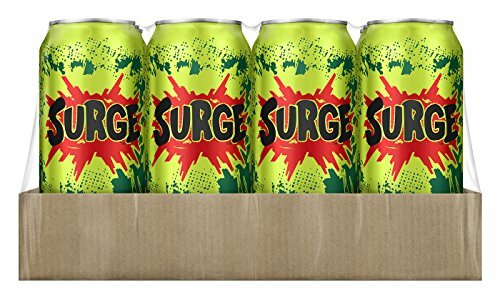 For your late night garage projects, high octane events, or even just to sip on while reading HoagiesGarage.com - Get yourself 12 pack of 16oz cans of Surge! One of our in house vehicles, a 1998 Camaro SS, has had some traction control issues. A few years ago, the "ASR Off" light illuminated on the dash all by itself. Over the years, I tried some easy fixes like cleaning speed sensors and things of that nature. Nothing seemed to work, so to the dealership it went. Mr. Goodwrench himself, yes he still works there, claimed our Electronic Brake Control Module (EBCM) was faulty. I was very excited to hear that the problem had been found. The bad news was that a new unit from GM would run $1080, and from different part suppliers an AC Delco part would run close to $500. Thank god for Google because I found some companies that specialize in rebuilding this non-rebuildable part. Basically the module is just a plastic housing with some different metal pieces that tie into your master cylinder. It also has circuit boards, connectors, and many other things I really have no idea about. Our buddy Matt at CheapABS.com offered to give us a hand with the module. He services a number of different ABS units, including the Bosch 5.3 which is what our Camaro is equipped with from the factory. His service is really clever because he has it all setup for the average mechanic right on his website. You seriously don't have to even know how to change your oil to do this all by yourself. He even has how-to videos on his site to guide you through the process. Our EBCM or ABS unit was removed by taking off the six torx screws that hold it onto the brake master cylinder. Two electric connectors are clicked off and with a little wiggling our unit was free. Matt has instructions on how to package, pay for, and mail your unit right to his office in Virginia. He says on his site that he has devised a unique method to fix these units, unlike some of the other guys. Well after a few days of looking, Matt couldn't find the common issues with our part. This was very sad news because I thought for sure we had the solution all nailed down. Matt is a great guy offering an amazing service. He didn't charge us for the inspection and even resealed the part back to factory specs. Even if you aren't sure, he is a great starting point for a problem of this nature. A few months ago we reviewed the Trailblazer SS in a Hoagies Garage Time Capsule story. The vehicle we reviewed was equipped with an SLP Powerflo Exhaust System that splits off into duals out back. The system is not a cheap one and the changes in sound are amazingly different when compared to the OEM setup. Using our GoPro, we were able to capture what this system really sounds like out back. Driving the SUV, you really don't get an idea as to how this setup actually sounds. This video will clear up any confusion with what you are getting yourself into... Enjoy!